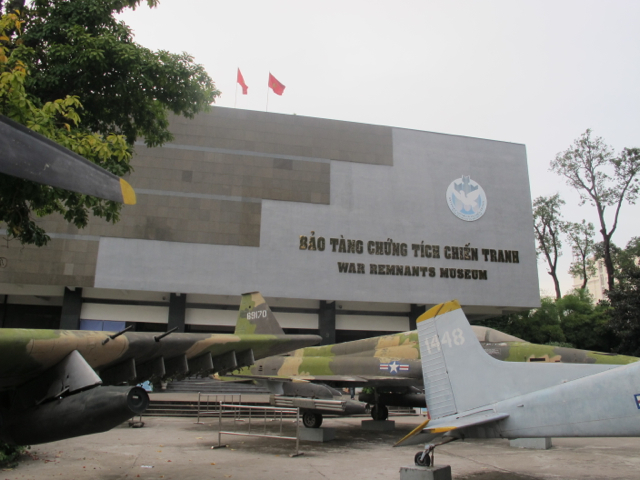 While I was in Saigon, I was surprised that multiple people suggested I visit the War Museum. Highly recommended, they said. It’s not a tip I expected to hear coming from other Westerners. Let’s just say the museum was not high on our travel list when I visited Vietnam with my mom and aunt in 2007. Since history is written by the victors, I assumed the museum would be filled with anti-Western rhetoric. It’s heavy, people told me, but worth it. I won’t delve too deeply into my own thoughts on the war or I’ll never finish this post. 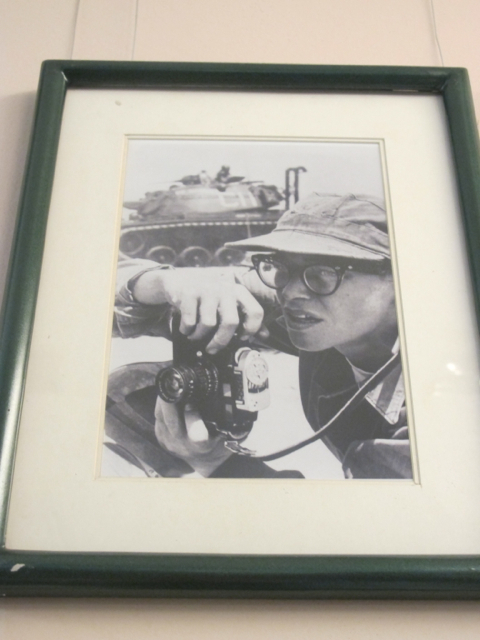 But it’s worth mentioning that I went through a phase of fixation with the Vietnam War when I was younger, around junior high. I didn’t immerse myself in historic details, didn’t memorize any battles or dates, didn’t even watch any of the iconic movies. Instead, I plunged myself into forging some kind of emotional connection to the war – an attempt to find some connection to my culture, to define my origin story. Not too unusual for a teenager, I suppose. I’ve since tried to direct my energy into more productive cultural pursuits, like learning language – but I don’t think I’ve yet reconciled the war’s place in my life and my family history. Move on, don’t dwell, leave the past behind. That seems to be my family’s approach. I’ve tried to walk away from the wound, and it sits there quietly, as I at times debate the merits of opening it back up, probing deeper. 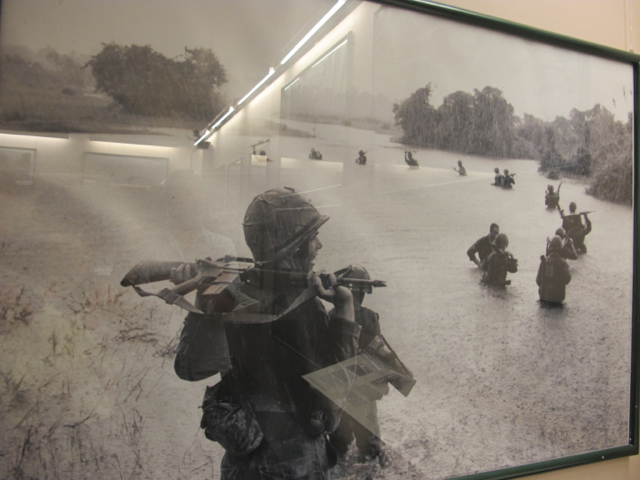 In any case, it felt important to visit the museum and confront the war in some respect during my recent trip. Call it a pilgrimage of sorts – paying respects to a past idea of myself, as well as to an event that is undeniably part of my past. 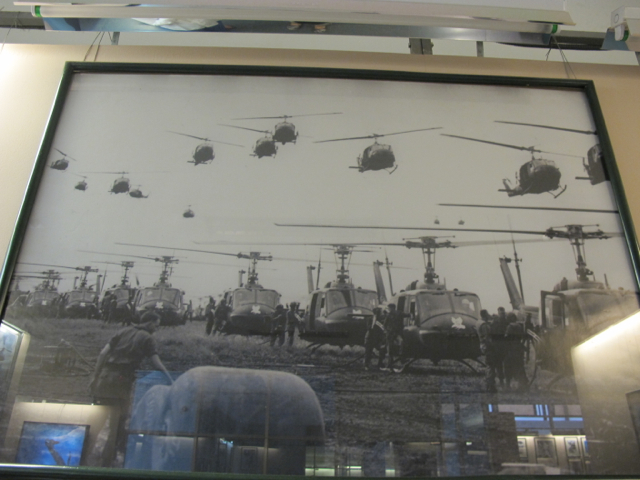 The museum isn’t a big one, just three floors, and the exhibits are composed almost entirely of photos. 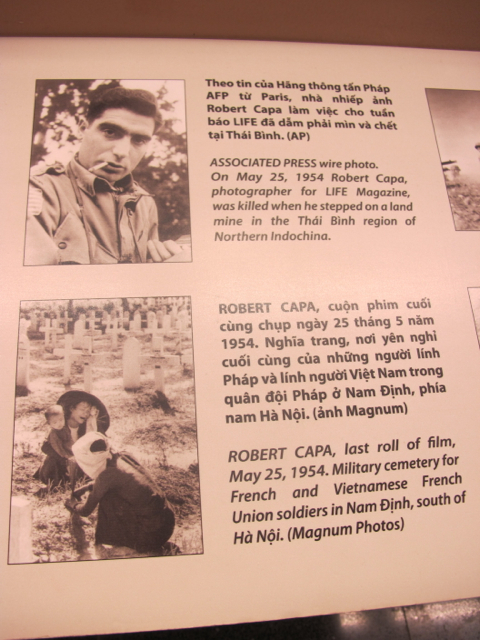 One floor displays portraits of the victims of Agent Orange, and they are almost too heart-wrenching to bear. I can’t look at them too long, or process the enormity of what I’m seeing. I feel almost guilty taking them in, as if I’m a gawker at a sideshow exhibition. But I tell myself it is important to acknowledge what happened to these people, to affirm their existence as people, to regard them with dignity. The immense human and environmental toll of the chemicals is undeniable. There is boy who must walk on his hands and a baby with no legs, whose lower body is only a stump. There are conjoined fetuses in jars and babies born with enormous heads that didn’t live a week. The effects are so horrifically varied; it is a disease of capricious malice. And the effects of dioxin are heritable, still passed down to afflict children born decades after the last U.S. helicopter departed. 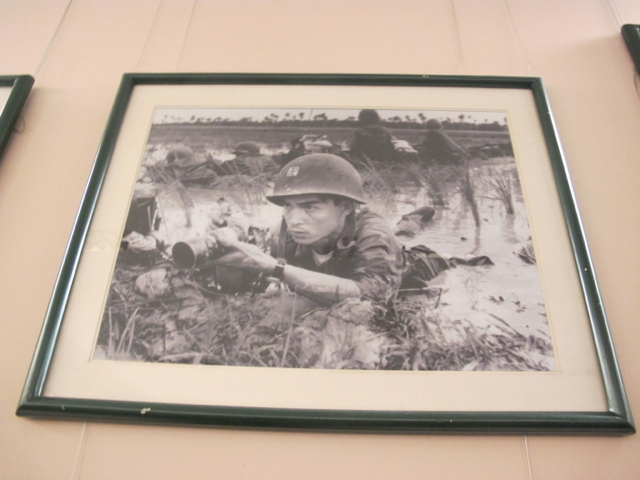 There are other photos that spotlight the civilian toll of the war. I linger at one of a mother and her four children lying on the ground, covered with a blanket up to their chins, eyes closed. The children look as if they are tucked in and sleeping. 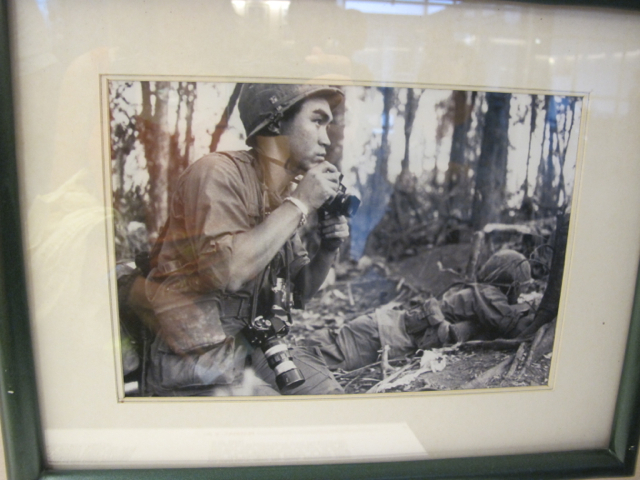 But the exhibit that transfixes me the most is on the top floor, an exhibit called “Requiem.” It pays tribute to the photographers killed during the war. 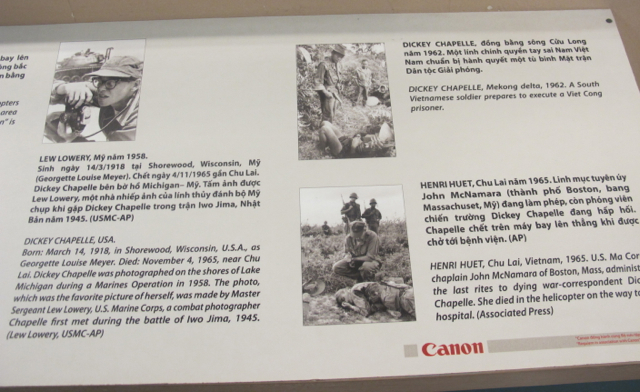 I am fresh out of my own one-year journalism boot camp, and this exhibit hits home. The exhibit both celebrates the work of the doomed photographers and bears witness to their final days, hours, even minutes. Certain photos carry the haunting caption “last roll of film.” This is what the photographer saw just before the mine went off. The image survives, its creator does not. The one image that I cannot shake is the last photo of Dickey Chapelle. I had just learned about her a few months earlier in an exhibit at the Newseum in Washington, DC. The intrepid female combat photographer. 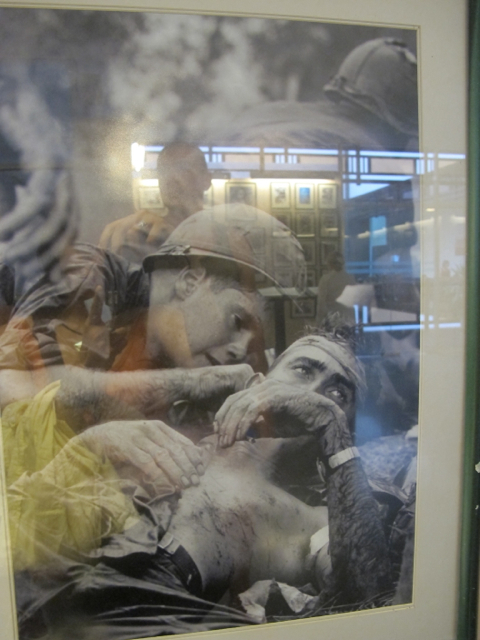 This photo in the War Museum shows a chaplain administering the last rights to Chapelle after a land mine detonated and shrapnel struck her in the neck. The image makes my stomach drop – it is so jarring, deeply personal and raw. A woman lies broken, bleeding, and minutes from death. The book I had just finished reading, The Man from Saigon, about a fictional female journalist during the war, described this very photo – how the sun glints off Chapelle’s earring and the blood pooled by her neck. The book relates her last words, as others have: “I guess it was bound to happen.” I cannot look away, until I have to. 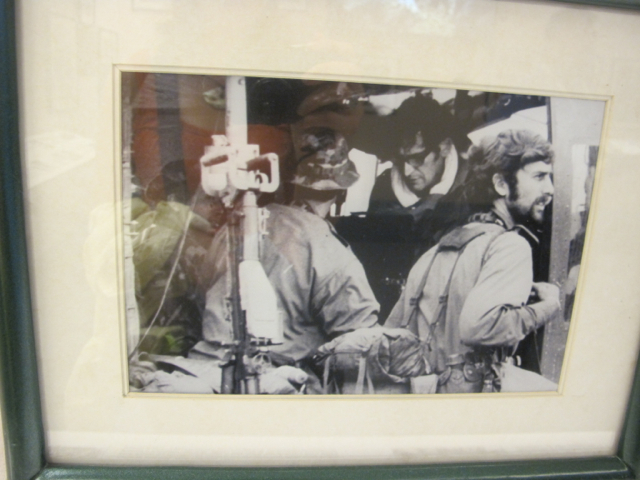 Then there is the last photo taken of of four famous photographers in a helicopter that would soon crash in Cambodia. 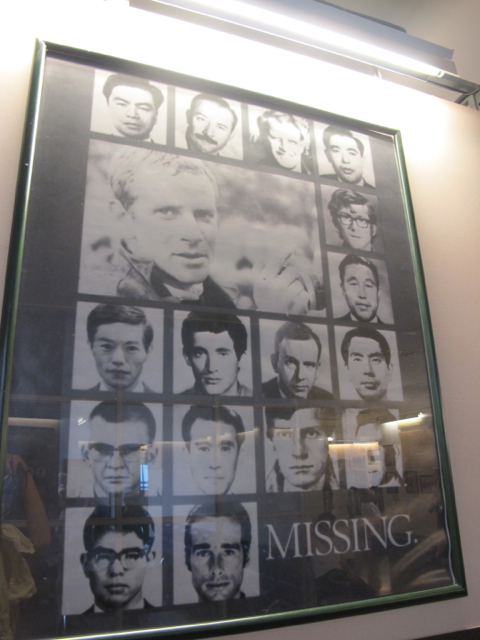 And a photo of the missing, the photographers who ventured into Cambodia and simply vanished. The museum is full of ghosts, fading into history as memory subsides. 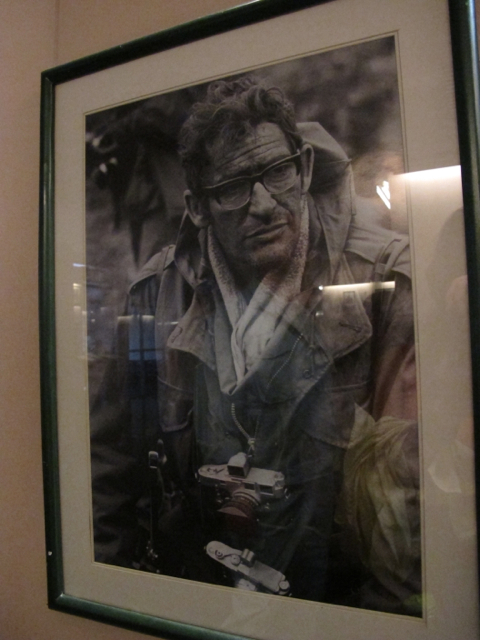 But the images they captured live on, silent but insistent reminders, windows into the past that dare us to forget. Tonight I reflect on my own good fortune.